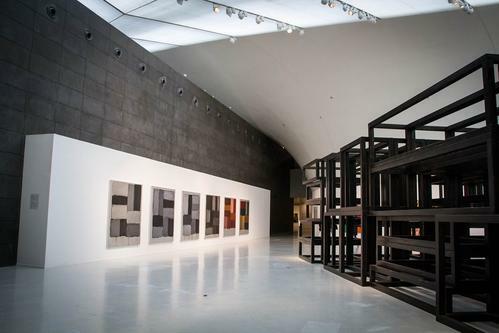 Follow the Heart: The Art of Sean Scully, 1964-2014, London, New York is the first exhibition in China of the artist Sean Scully who was born in Ireland, grew up in the UK and now lives in US. The exhibition will show work from the last 45 years, in oil, pastel, watercolour as well as photographs and a major new sculptural work, specially made in China for the exhibition. The exhibition will feature more than 80 works from private collections in the west as well as from museums in Europe and the US. Sean Scully was born in Ireland in 1945 and is one of the most important artists in the west whose work is in more than 150 museums, including New York's Museum of Modern Art, Paris' Centre Pompidou and London's Tate. The city of Barcelona in Spain will build a Sean Scully museum to showcase his work and he has just been commissioned by the US government to make a sculpture outside the US embassy in London. Sean Scully went to art school in London and moved to the US in 1975 and in 1983 became a US citizen. He has held fellowships at Harvard University and Princeton University, has held more than 200 solo exhibitions, has been awarded honorary degrees in Spain and the US and has exhibited all over the world including a one-person show at the Metropolitan Museum of Art in New York. He has recently given lectures in the China Academy of Art Hangzhou and in CAFA Art Museum Beijing.